If you’ve ever been to Italy and miss the food and vibes of the beautiful romantic country check out this restaurant. This bright, stylish and chic gem definitely made me feel like I was back in Italia as I enjoyed my iced latte. 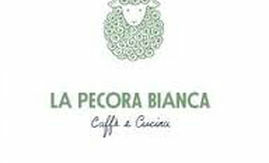 The name which means ” The White Sheep” in Italian brings you back to Italian roots with its inherently local, seasonal, Italian cuisine offering lattes, wine, and aperitifs on tap. Even if you haven’t visited Italy this is one place you won’t want to miss. 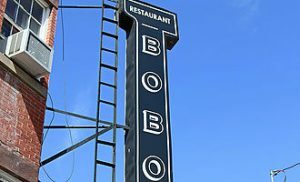 Whether you’re going for breakfast, lunch or dinner this is one restaurant you’ll want to stop by and check out. Located at: 1133 Broadway at 26th st. If your looking for a place to go to for brunch, lunch or dinner, a place to grab a drink whiling enjoying the ambiance, head on over to Nomo Soho Kitchen . Nomo Soho Kitchen stands for Nostalgic + Modern (very telling for the establishment) is located at the Nomo Soho Hotel in the stylish and chic area of Soho. This glamorous restaurant offers a magnificent menu, exploring a more Contemporary version of American Cuisine. With its upscale decor and delicious food this is one place you’ll definitely want to check out. They also host great theme inspired parties and events. Looking for a venue thats upscale, stylish, chic, and fairytale like for your wedding, this would be an ideal spot to choose. The ambiance and decor speaks volumes!! 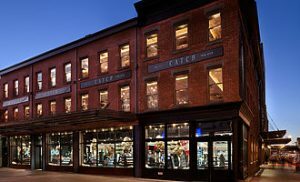 Whether you attend an event at NoMo SoHo, stay at the hotel, or just enjoying the food and drinks you won’t be disappointed either way!! Enjoy! LOOKING FOR SOMETHING NEW AND FRESH SOMETHING LOCAL, WHERE YOU CAN hangout, HAVE A DRINK, WATCH SOME SPORTS, WHILE ENJOYING SOME KILLER VIEWS OF NYC. TRY THIS hidden gems: CHECK OUT THIS fun, invitiNg, place. 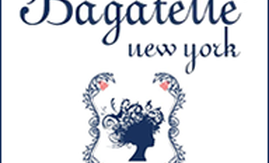 WHERE The service IS wonderful all around and the staff IS so nice anD friendly. 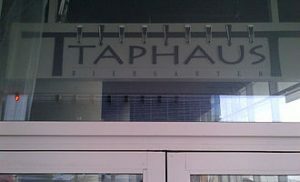 TAPHAUS, HAS such a unique atmosphere, with A-M-A-Z-I-N-G views of NEW YORK CITY, RIGHT ON THE waterfront, YOU HAVE view of the iconic One World Trade Center, Tribeca and Lower ManhattaN. Tap Haus Biergarten offers a vast array of food, featuring 48 beers on tap, ( I mean, you REALLY can’t go wrong) and A fully stocked bar! The menu is fresh, creative and innovative. 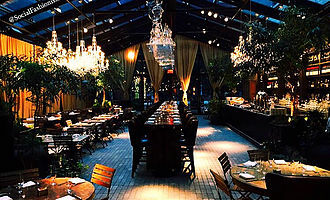 THIS SLICK BI-LEVEL RESTAURANT AND ROOFTOP BAR IS LOCATED IN THE EVER SO CHIC AND OH SO FABULOUS MEATPACKING DISTRICT. 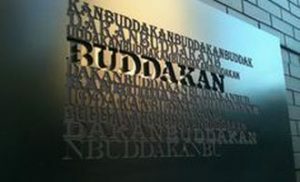 IT OFFERS GREAT AMBIANCE, REFRESHING AND INNOVATIVE COCKTAILS AND DRINKS OF CHOICE, AND AN AWARD WINNING MENU CREATED BY “TOP CHEF” WINNER CHEF HUNG HUYNH. THIS IS DEFINITELY A PLACE TO BE, ONE TO DEFINITELY TRY AGAIN AND MANY CELEBRITIES HAVE BEEN SPOTTED HERE TOO! LOCATED AT: 21 NINTH AVENUE, NEW YORK, NY.